Real Madrid president, Florentino Perez, is unlikely to sell his captain Sergio Ramos, despite reports of a fall out between the two. Los Blancos suffered four consecutive home defeats in the span of two weeks which saw them out of the Copa del Rey, Champions League and almost out of LaLiga title race. While Madrid were knocked out by Barcelona in the Copa del Rey, Ajax emerged as surprised winners in the Champions League round of 16 fixture to knock the defending champions out of the tournament. Sergio Ramos had to suffer their home defeat against Ajax from the stands as he was suspended for a deliberate yellow card in the first leg. After their humiliation, Florentino Perez and captain Sergio Ramos reportedly had a face off in the dressing room. 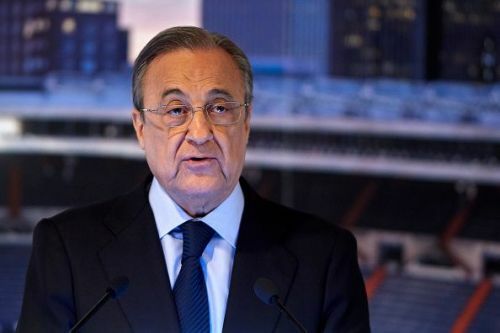 Perez slammed the players for their lack of dedication whereas Ramos blamed the board for their miserable season and asked the board to pay him so that he can leave. Despite Florentino Perez's threat to sack Sergio Ramos in their reported dressing room bust up, it is highly unlikely that he will let go of Ramos as it would be a costly affair for Los Blancos. Madrid would have to pay a huge amount of money, reportedly around €25 million, to end Ramos' contract, which ends in 2021 and not in 2020 as is currently believed. According to a report from AS, Real Madrid extended Ramos' contract few months ago to extend the icon's stay at the club due to his good performances. Moreover, the 32 year old center back is the leader of Real Madrid team and has the backing of the rest of the board members and fans alike, which is why Perez won't be able to offload the Los Blancos' icon so easily. Real Madrid will now have to focus solely on the LaLiga campaign where they face Real Valladolid and Celta Vigo in the coming weeks. Real Madrid's nightmare - Is it over, or has it just begun?